If you’re getting ready to move, prepare yourself. Make sure you talk to a reputable moving company and actually have a conversation in-person. Finding a moving company online or just talking to them over the phone may prove to be problematic. According to Angela Colley of realtor.com, there are many things they won’t tell you unless you talk to them face-to-face. Don’t go by-the-hour. There are other options that may be less expensive. For larger moves, as mentioned above, the “weight” option may be a better option. Ask for charges based on weight, distance and by-the-hour. Be careful with up-front deposits. While they are normal in many cases, they should not be a large amount. It is wise to do your research to see what several companies will charge – or if they ask for a deposit at all. Some won’t. 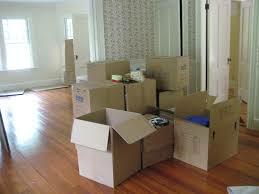 If you want to save time – and money – pack and disassemble your belongings before they get there. Of course, the bigger items can be left to the movers. But, anything that you can do yourself will help your bottom line. Basic insurance won’t cover much. If something gets damaged in the process, the repair may not be covered – and, forget about getting it replaced. Check with your renters or homeowners insurance policy. 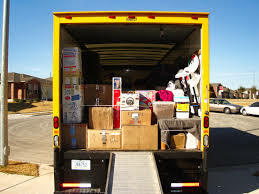 If it doesn’t cover possible damage, talk to your moving company about higher coverage rates. If something does get damaged, take pictures of the damage before you make the complaint. Without the proof, it may be their words against yours, and you might not get compensated. This goes without saying, but be nice to your movers. After all, during the process, they are in possession of your belongings. While many moving companies are highly ethical, some may try “funny business” – especially if you get into a dispute with them while they still have your things. Make sure you do your research and connect with licensed movers. If something happens, they can be held responsible to the Department of Transportation. The Powell Group is always here to help in your moving process. Our team members are here to answer any questions or concerns about moving to the home of your dreams.